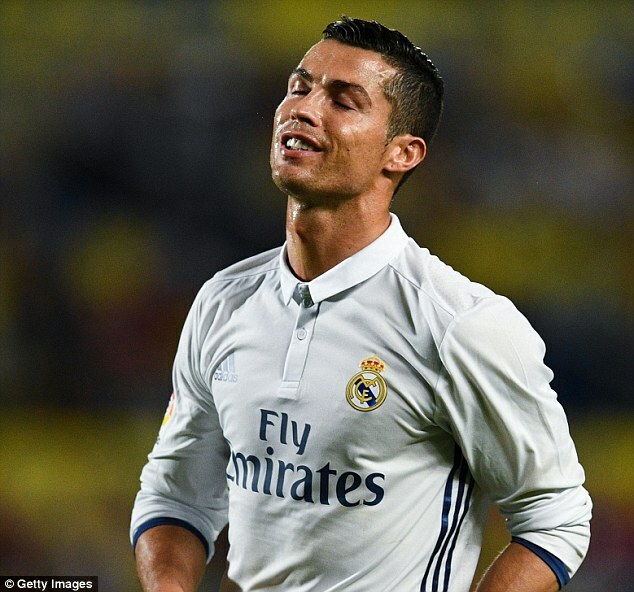 Incredible sulk of Ronaldo: a bad omen? 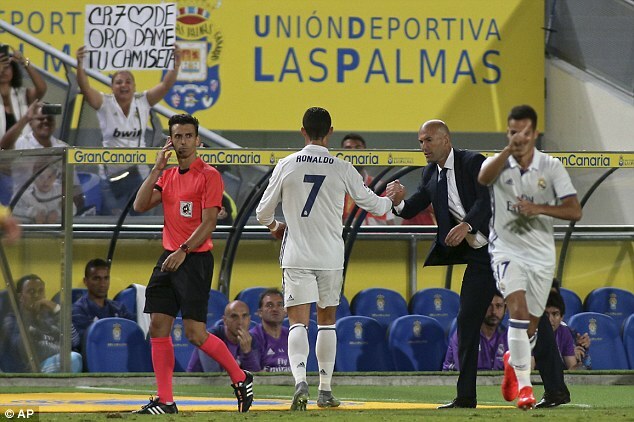 Cristiano Ronaldo was fuming after being substituted by Zinedine Zidane during Real Madrid’s draw at Las Palmas. The two-time FIFA world player of the year was surprised to be hooked in the 72nd minute on Saturday night – the first time in his seven-year career he had been taken off in a tactical switch. Zidane offered his hand to Ronaldo as he trudged off the pitch, which the Portugal forward acknowledged without making eye contact with the Real coach. And the decision backfired as former Barcelona B striker Sergio Araujo scored a late equaliser to force a 2-2 draw. 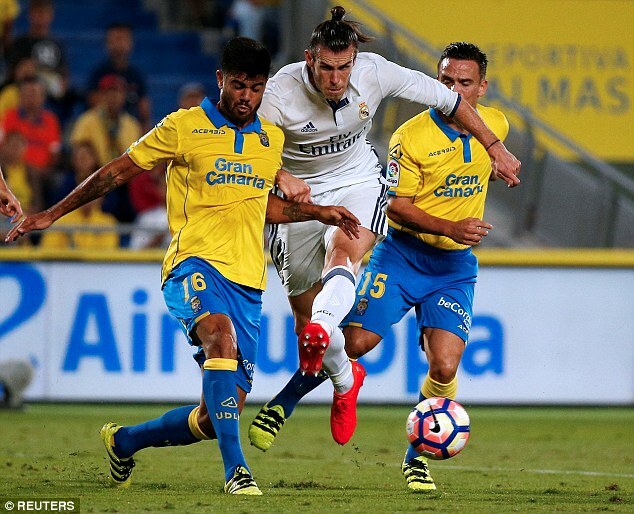 The Canary Islanders have been the revelation side of the start of the season in Spain and twice they pegged back Zinedine Zidane’s team. The French coach controversially took off Cristiano Ronaldo 18 minutes from time and then watched his side blow their lead. The 24-year-old Argentine striker Araujo played for Barca B on-loan during the 2012-13 season. He showed greater desire than Real Madrid defenders with his late leveller – slamming into keeper Kiko Casilla’s clearance and then bundling the ball and Madrid’s Nacho over the line. Real Madrid had taken the lead on 33 minutes and the goal came from an unexpected source. Reserve centre-back Nacho was in the team at left back for the injured Marcelo and he stormed forward and into the area ignoring the shout from Ronaldo to play the ball inside. 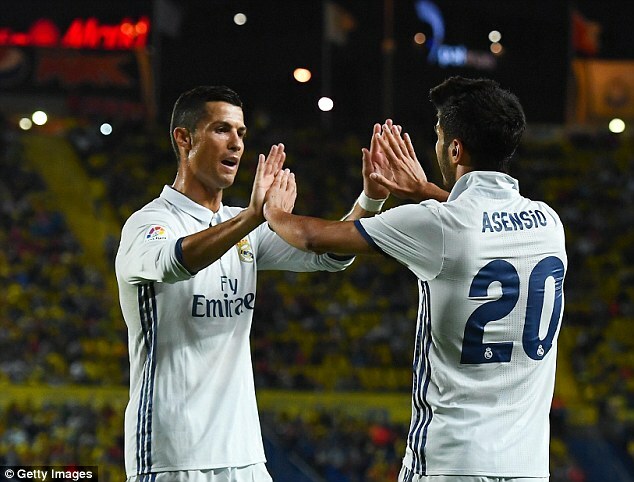 Nacho’s shot was saved by Javi Varas but as it looped out back into the six-yard box Marcos Asensio met it with his head to make it 1-0. Gareth Bale had the chance to extend that lead. He was lively down the right and he chased on long ball forward, outstripping the Las Palmas defence only to see his near post shot cleared for a corner by Varas. 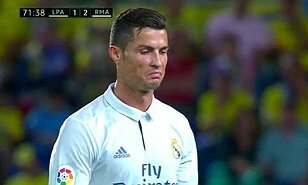 Madrid were threatening to put the game beyond the home side but on 38 minutes Las Palmas drew level exposing Madrid’s weakeness in defence. They still miss Pepe’s no-nonsense clearances and keeper Casilla offers none of the assured shot-stopping of Keylor Navas. It’s good news for Madrid that the Costan Rican keeper is close to full fitness again. 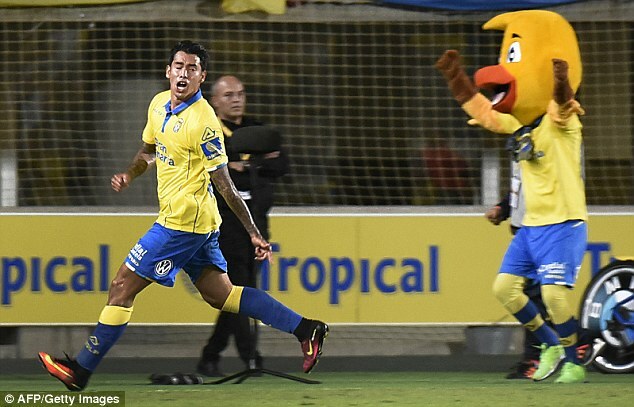 Las Palmas attacked down the left and when Momo’s cross was headed on by Marco Livaja it dropped to Pedro Tana in the area. Sergio Ramos and Nacho were close but nowhere near close enough and when from Tana made the most of the time and space to hit his shot sweetly, Casilla allowed it to find his far corner. That sent Madrid back to the drawing board and they toiled without reward at the start of the second half. A mazy run inside the penalty area from Bale finished with Ronaldo scoring but he was obviously offside and the flag was raised. On 64 minutes Zinedine Zidane put Karim Benzema on for goalscorer Asensio and the Frenchman put Real Madrid in front. 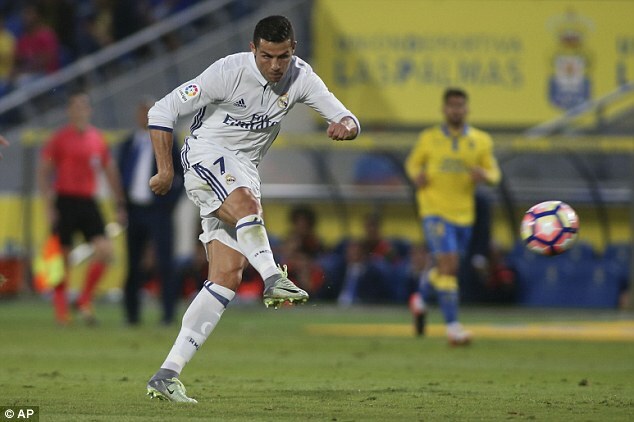 Alvaro Morata played the perfect pass through Las Palmas defence and Ronaldo ran on to it. His shot was blocked by Varas but Benzema followed through scoring from the rebound. 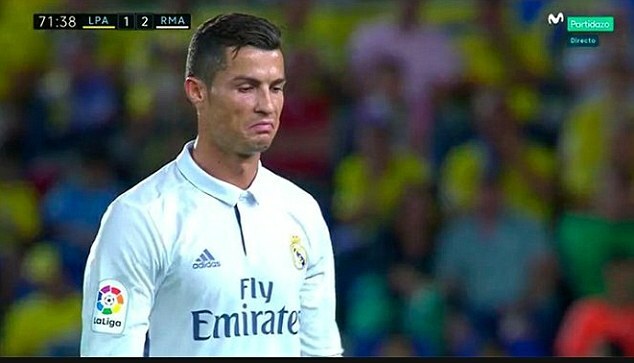 It was Ronaldo’s last contribution and he didn’t look very happy at being taken off with 20 minutes left. 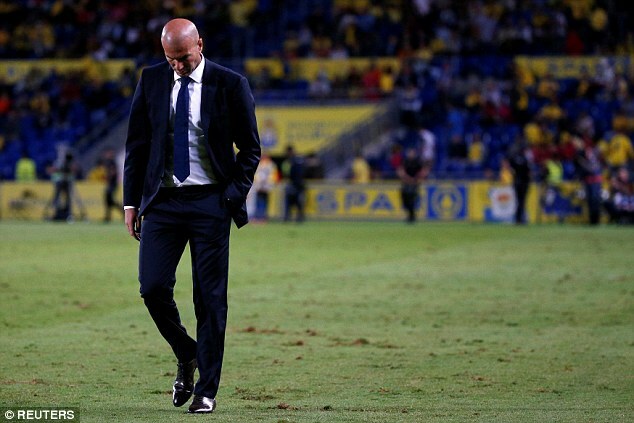 The plan this season is that for his own good and for the good of the team he will not play every last minute of every last game but he left the field mumbling to himself, shaking his head as Las Palmas supporters whistled his departure. There was a cold gesture towards his replacement Lucas Vazquez, he never looked Zidane’s way as he held his hand out to meet his coach’s and he looked upset with match-day delegate Javi Col before taking his seat on the bench. 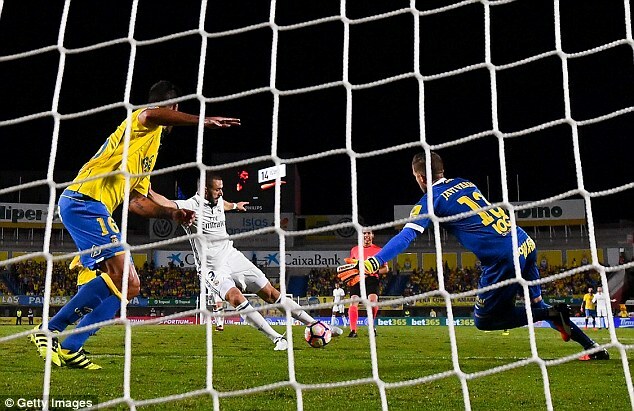 He has only failed to score at three of the grounds he has played on in Spain – Gran Canaria being one of them – so that maybe explained the frustration.